GIVEN the level of crime in the idyllic Caribbean island-state of Trinidad and Tobago, everything from murder and kidnapping to corruption and robbery, I was surprised to find security at Piarco International Airport conspicuously absent. This is after all the land of carnival and Calypso and it takes a great deal to disturb the festive atmosphere. But with a population of 1.3 million people and an average GDP of TT$90 billion, Trinidad has earned the unenviable reputation of being the “kidnapping capital” of the world. Many influential Muslim leaders, who asked to remain anonymous, told me they suspect that Yasin Abu Bakr and members of his Jamaat al-Muslimeen have been behind a large number of the kidnapping for ransom schemes. In contrast to the majority of the nearly 80,000 Muslims (6 percent) who are descendants of East Indian indentured laborers, Yasin and his followers are predominantly black converts. The majority of Muslims in Trinidad and Tobago are staunch Sunnis while Yasin and his Jamaat identify with a Salafi/Wahabi approach to Islam. Yasin’s path to notoriety began in July 1990 when he led 1 14 men in an attempted coup. After praying Jumu’ah, the men took over police headquarters, the country’s television station and stormed its parliament. Armed with powerful weapons, Yasin took Prime Minister A.N.R. Robinson hostage, shot him in the leg and forced the acting president to sign a Presidential Pardon. Seven days later, the mutiny ended with the surrender of the hostage-takers. In all, 30 people, including an MP, died in Yasin’s coup attempt. I covered the failed coup for CBC-TV and followed Port-of-Spain’s gross mishandling of the charges against Yasin and his men. The charges of murder and treason were dismissed on grounds of the Presidential Pardon, which the court recognized was signed under duress. Yasin then filed a brazen constitutional motion against the state for destruction of property at his headquarters and was awarded TT$ 1 .2 million, which he received. The state responded in turn by filing charges against him for damages to the parliament building and police headquarters and was awarded TTSi 5 million. 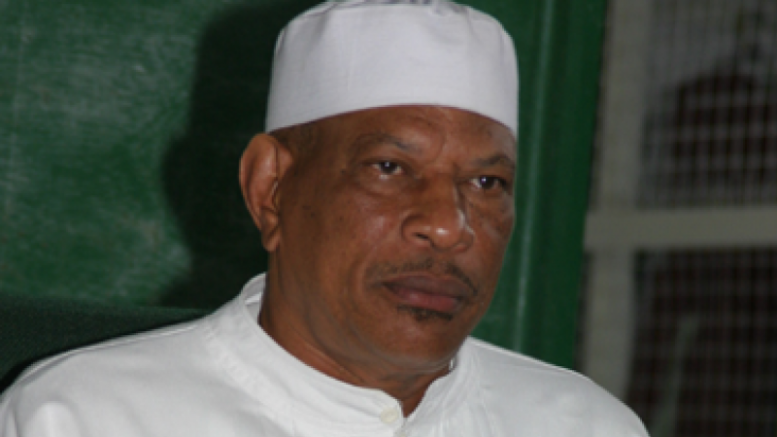 Yasin refused to pay and the government is now demanding he pay TT$32 million – the original amount plus interest. In a bizarre twist, Yasin claimed in a sworn affidavit that he had entered into an agreement with the current prime minister, Patrick Manning; in return for helping Manning’s party win the 2002 elections, Yasin’s debt to the state would be forgiven. The highest court in the land this year ruled that while the affidavit was scandalous, it had no bearing on the debt. The state is now poised to seize all 10 properties registered in Yasin’s name. Two years ago, during his Eid khutbah (sermon), Yasin demanded that all Muslims in Trinidad, particularly the very wealthy upper-class East Indians, pay their Zakah to him or “they will face consequences.” The government interpreted this as a veiled threat and leveled charges against him on grounds of sedition and inciting violence. During my visit to the island in January, I was surprised to find that Yasin was once again on the front page of every newspaper in the country. Wearing a white, Saudi-style long shirt and a kufi, flanked by his three wives, some of his 14 children, and a number of his followers, all of whom seem to be mean-looking body guards, a smiling Yasin was freed of charges that he conspired to commit murder. It all started after Yasin expelled three members of his group two years ago. One was his son-in-law whose mistake was to accuse Yasin of allowing Jamaat members to engage in criminal activities. A few days later, gunmen opened fire on the expelled men. Two were hit in the leg and abdomen while the wife of one was killed by a bullet to the head. He was arrested and charged with conspiracy to commit murder. The star witness in the prosecution’s case was Brent Miller, a member of Yasin’s Jamaat. Miller was originally charged with the murders, but in return for his cooperation, the state granted him immunity and dropped the charges. During the trial, the court found that Miller had perjured himself, which in turn led to the dismissal of the charges against Yasin. The majority of Muslims nevertheless have consistently denounced his actions even when it has resulted in threats of violence to them and their families. And perhaps that’s why the majority of people in Trinidad and Tobago, unlike those in Canada, the U.S. and the U.K., have absolutely no trouble distinguishing the violent behavior of Yasin and his cult of kufi-wearing thugs from the vast majority of law-abiding Muslims. Be the first to comment on "Bacchanal in the Land of Carnival"